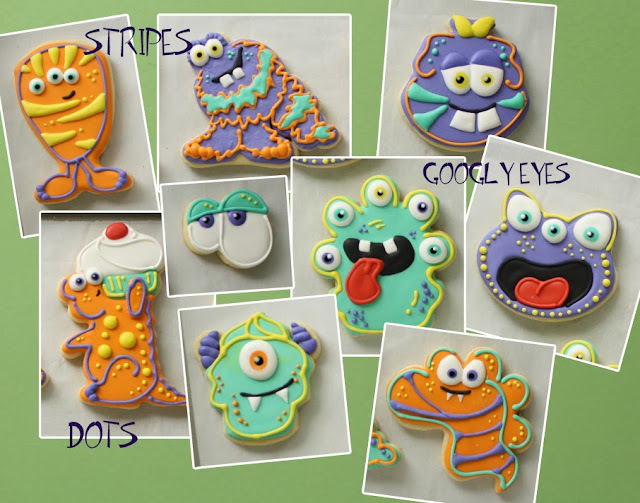 With the Monsters University movie released this summer and Halloween not too far away, monster stuff is all the rage these days. It's pretty much impossible to mess up a monster cookie and you can make an infinite number of unique monsters just by joining common cookie cutters together! 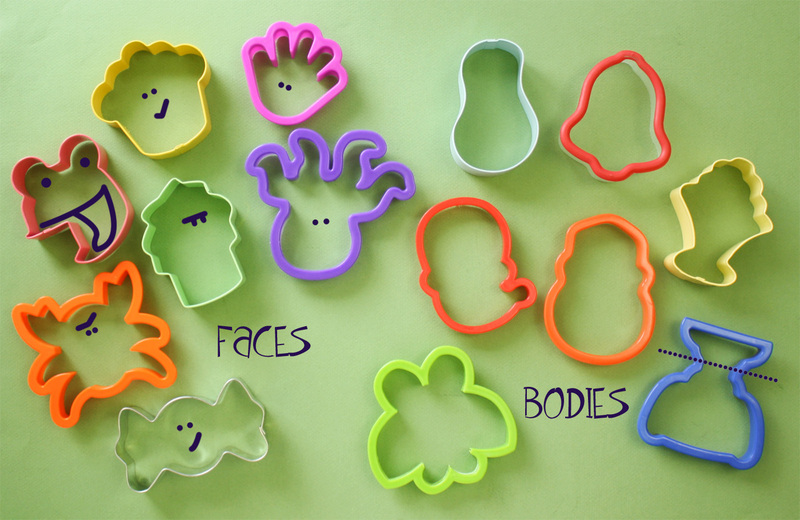 Just about any common cookie cutter can become a weird monster face or body. This is a great use for those big tubs that have 100+ cutters in them. Look for large general shapes with just a couple small details for faces and bodies. 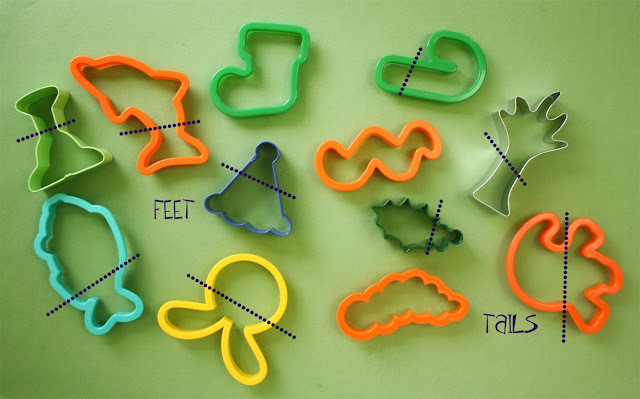 Also, try turning the cutters upside down or picturing them with just a little bit of trimming to see even more possibilities. 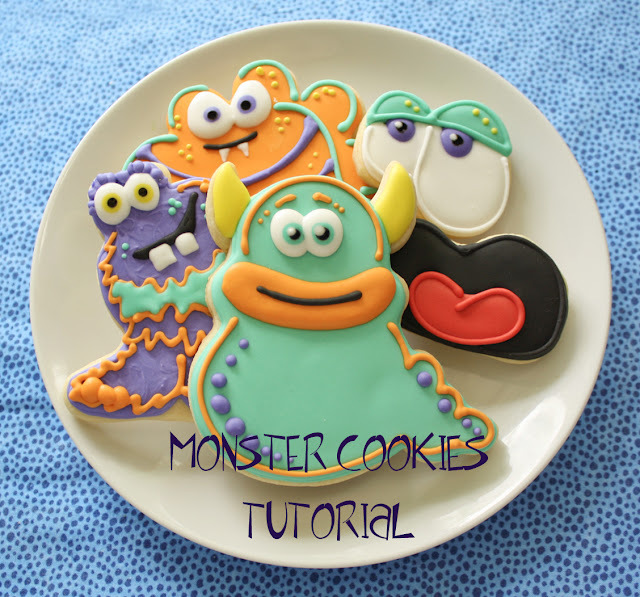 Your monster will need feet of course and maybe a tail too. Lots of cutters have a couple bumps on one side that look like feet or mutliple bumps for the many-legged variety of monster. You'll probably have to trim most of the shape away to use just the "feet" but that's easy enough. Look for cutters that have hooks and bumps and points to use as tails. There is no right or wrong with these so don't worry about them being "perfect". Monsters are all kinds of strange and unusual so just have fun with them. 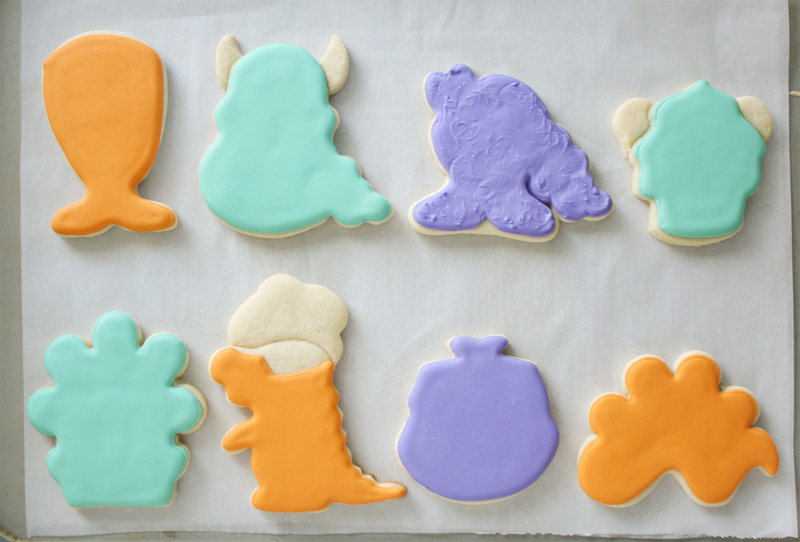 I made these cookies for a very special one-year birthday party so I also added the tails and horns and things to some birthday shapes like cakes and presents as if they were being carried off by the monsters. 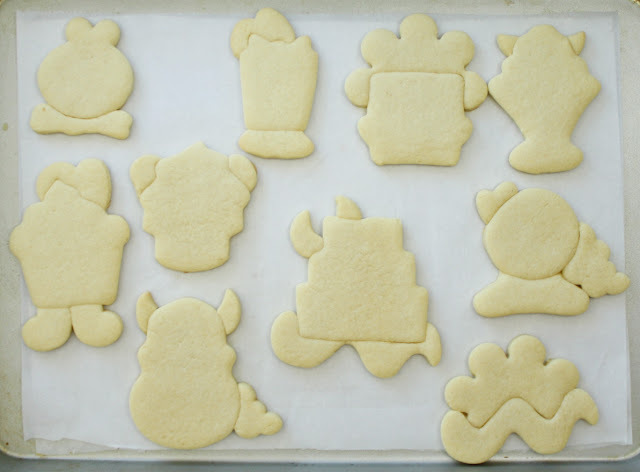 To decorate the cookies I started with just a simple base coat of royal icing. I know I'm going to go crazy with the details later so I'm not worried about piping and filling every little part separately. Someday I may learn to do 3 designs 5 times instead of 15 designs once, but these are just so much fun I can't resist. 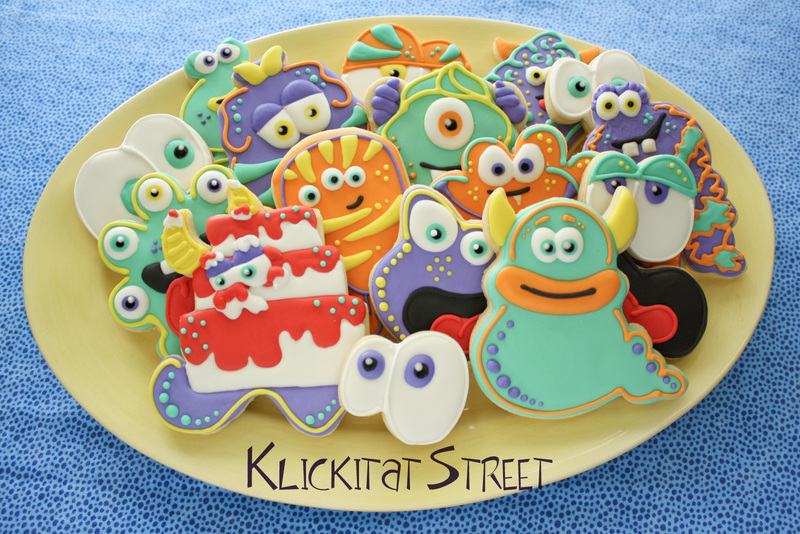 There is an endless supply of creatures waiting in your cutter tub!